Savage Marine Ltd. has been designing and manufacturing high quality lighting products for the Superyacht industry for over two decades. With in-house precision engineering and machining facilities as well as dedicated electrical engineers, we are at the forefront of LED product innovation and lighting design solutions. All of our products are researched, designed, machined and manufactured in-house ensuring material and product quality assurance and technical excellence. From complete newbuild projects and extensive yacht refits to LED upgrades, lighting control systems or a refresh of existing Savage lights, we will work with you to achieve the solution you require. We continuously strive to innovate when needed, integrate developments in technology and embrace the demands of the industry. It is perhaps for these reasons that not only do we have a large portfolio of repeat clients but also a have growing number of world firsts. Savage Lighting Manufacturing Processes Take a look at our latest corporate video highlighting our manufacturing processes and providing an insight in to the design and engineering that goes in to all of our products. Our Complete Lighting Solutions ensure bezel design, light output and integration seamlessly combine to enhance any interior and exterior. 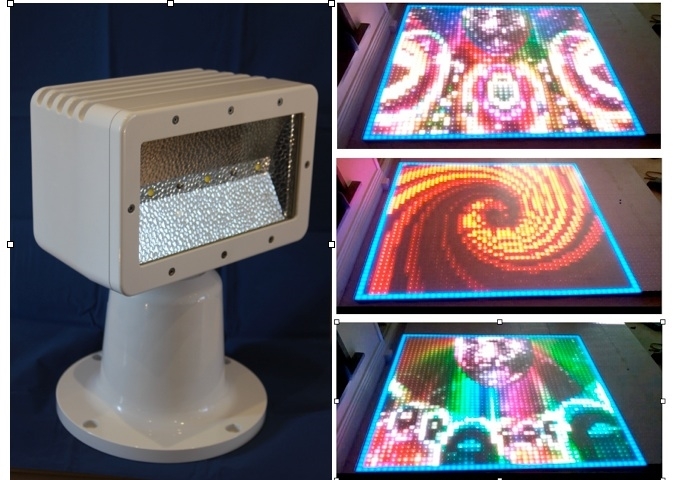 We have a full range of LED, halogen and fibre optic lighting products and offer a wide range of services from the design and manufacturing process through to installation including full project support and bespoke lighting services. Whether you are looking for a complete range of lighting for a new project or simply want to upgrade or refresh existing lights, we will work with you to achieve the solution you require. We work with high quality solid materials including 316 stainless steel, aluminium and brass as well as low temperature, injection moulded polymer. We use the very latest in technical components to ensure optimum functionality and every product is engineered and designed to ensure that lighting can be easily integrated to compliment design features. Providing our clients with all the data, facts and figures they need to optimise the selection, implementation and use of lighting types, products and solutions ensures lighting design can be used as a feature and not just a function. As we continue to focus on Research and Development, we are dedicated to finding solutions, new designs and latest technology that meet all of our customers' requirements. Sometimes it is hard to find the exact lighting solution you are looking for and settling for an existing product often means having to compromise on what you really need. For this reason we are often asked to produce bespoke fixtures, one-offs or adapt an existing product so that it truly meets the client’s requirements. 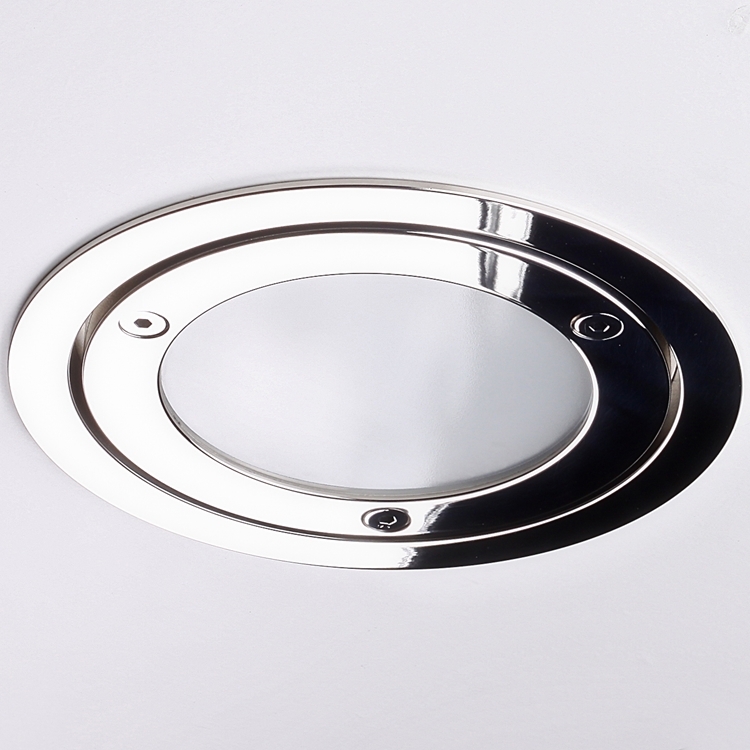 ◦	Solution: The IP rating was increased to an IP67 rated version with the addition of extra gaskets. ◦	Solution: The special colour match and matchbox textured feel to the bezel was also discussed with our specialist finishing departments to meet exact customer requirements. 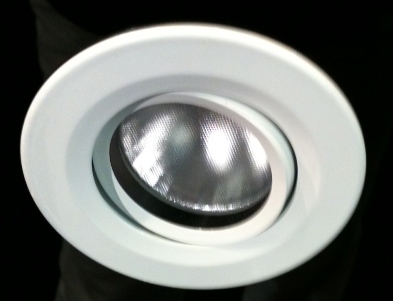 We offered a push fit sleeve option to allow easy installation and access to the light throughout the build. Following the design process which was carried in close consultation with the client, complete Solid Works drawings were submitted to the client for approval providing a full visual render of the amended design including dimensions. To create the unique and very customised finish, our finishing department used certain techniques to enhance the finish. The bezel had to be specially prepared in stages by layering the custom textured paint sourced specifically or the client. Images were then sent for approval. Although we usually send a sample of the finish, the client was happy to proceed from the images. The client opted to proceed with the push fit option for a few option for ease of installation and improved access to the fitting for cleaning and future maintenance. The finished product met the client’s expectations not only in functionality and style but also in finish. The unique finish to the light provided a textured, almost ‘rough’ finish - the exact look the customer wanted to achieve resulting in impressive feedback from both the client and the vessel owner’s team. As a result we are now working Madera Ribs on more projects. Savage Lighting’s new integrated lighting control system is designed to simplify onboard LED integration and operation. 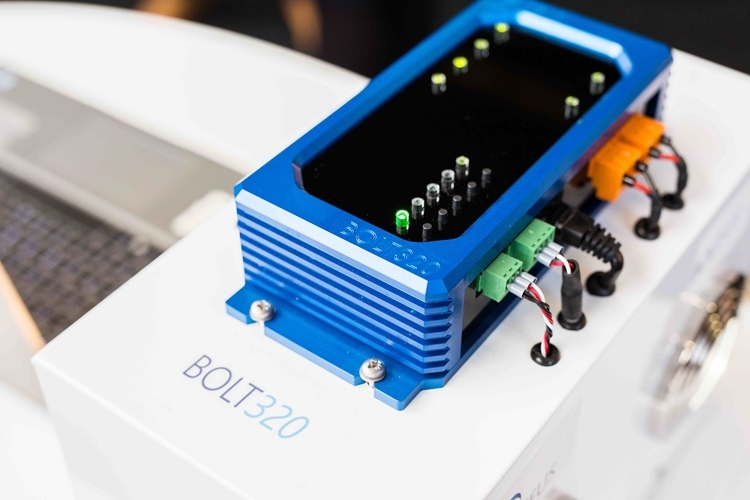 The BOLT 320 provides excellent price-performance ratio, delivers on functionality and does not require specialist configuration knowledge. It provides control of LED lighting including dimming, lighting scene settings and support of emergency lighting. It is a feature-rich system without complex programming and on-going maintenance needs. The self contained, modular unit is supplied ready to install with minimal configuration required via the easy to use web browser. Specific scenes can be pre-configured prior to delivery to reduce post installation setup and to guarantee replication of standard / required settings. Maintenance is minimal, units are easy to swap in-out and configuration is self explanatory. 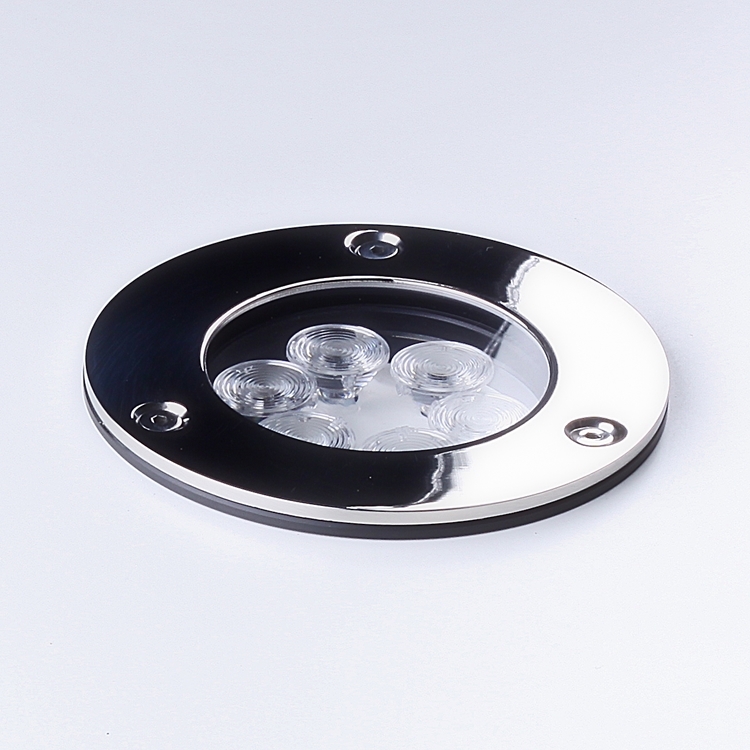 The BOLT 320 is supplied with four 0-10v industry standard dimming channels and features direct connection of LEDs with inbuilt drivers or external 0-10v compatible drivers. Connection to the switches, maximum 6 per unit, is via a simple low voltage 3 wire bus system and the incoming DC power range is 12v to 28v. Built-in Wi-Fi enables fast installation and configuration whilst the conventional ethernet port allows the connection of multiple BOLT systems and third party control systems. Zeus is a range of lighting technology and control solutions by Savage Lighting Ltd. Products within the Zeus range are developed in-house either exclusively by Savage Lighting or in collaboration with leading technology partners. All products within the Zeus range are specifically designed for the marine industry and are developed to meet exact onboard needs. Our mission is to bring to market fit for purpose lighting solutions designed to make the integration of lighting and LEDs more simple and more effective. We do this by bringing together lighting, technology and industry experts to develop products using the extensive experience gained on multiple marine leisure and superyacht newbuilds and refits. 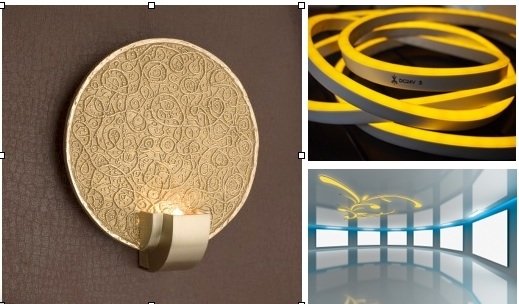 Deck Jewellery by savage Lighting is a brand new concept of decorative lighting. It utilises both natural light and the latest LED technology giving a fresh and vibrant look at decorative lighting. The concept is decorative light tunnel that offers a number of practical, yet stunning lighting effects both for interiors and exteriors. In the daylight it gives a decorative crystal effect that compliments the deck beneath your feet also floods the interior below with natural light. In the evening Deck jewellery brings both interior and exterior to life with the help of the best LED technology creating a unique and spectacular lighting effect. As the main decorative parts are formed from intricate prisms, the light tunnel also acts as privacy glass both at night and day. Viking Recruitment and Savage Lighting invited general Dave Prodger of the British Consulate to FLIBS in a move to boost the UK's exposure within the US superyacht industry. Savage Marine has announced a strategic partnership with Crest Systems Engineering that will allow the company to offer a complete lighting solutions service for superyachts. The lighting specialist, Savage Marine has merged with precision engineer Pro-Tech CNC. The merger will allow Savage Marine to expand the range of service it offers clients, as well as boosting production.